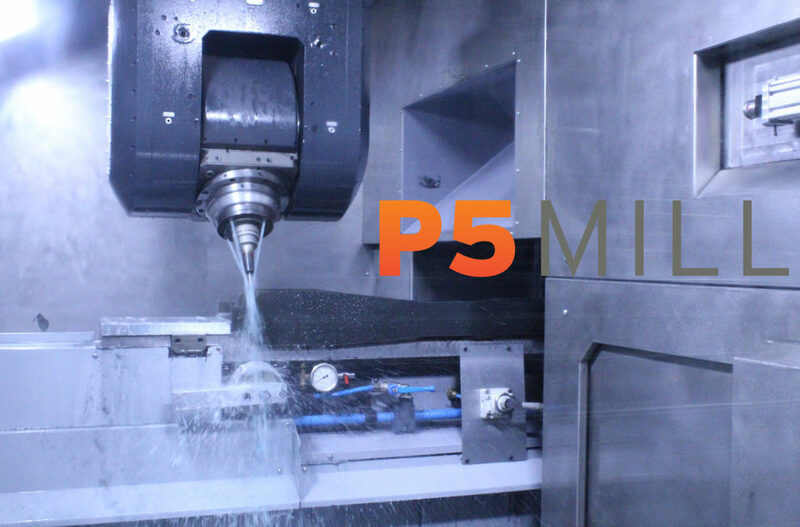 Designed for manufacturing entire families of large-scale parts from profile beams to aerospace standards, the fully automatic, five-axis P5 bridge mill from Bertsche Engineering provides fast, highly automated performance in “one-off” demand-driven manufacturing environments. The system offers travels of 300x60x30″ (7620x1524x762mm) and rapid rates to 2000 ipm (51m/min) with near-zero setup time. Bertsche says the P5 can be fully reconfigured for a different family of parts in 60 seconds or less. This big mill handles profile beams made from composite layups, sandwiched composite-aluminum-titanium materials, and extruded aluminum or monolithic structures made from aluminum-plate material. Table configurations for composite, aluminum extrusion, bar and plate work are available. A new generation B/C Direct-Drive Fork-Type Head and 20,000 rpm 43-kW spindle provide high acceleration and the feed rates needed for long-part machining. Fully enclosed dust-and-chip containment combines with a built-in dust-collection system to improve the work environment. A Smart Work-Holding Fixturing system features fully automatic setup for more than 50 different part configurations for C, H, and J-beam profiles, including those with varying cross-section thickness. Initially, parts are hand-loaded using a line laser to assist the operator, then parts are automatically clamped into position with expanding inner-beam clamps, outside swing and clear clamps, and flange clamps. During machining, the controller automatically repositions workholding fixtures to optimize access to the part by machine tooling. Swing clamps automatically move out of the way in a wave motion during straight-line routing. These workhold features permit mill, drill, and rout, saw-cut, and inspection operations to be performed in one part setup. Part probing, tool probing and calibration sphere provide continuous work-in-process part quality inspection. Workholding and part positioning are fully CNC controlled. The part-load door is fully powered and automatically controlled. Currently, P5 systems are manufacturing H, J, C and I-beam composite floor beams for the Boeing 787 and 777 programs.